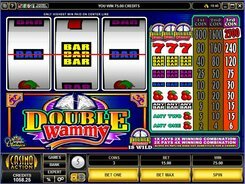 Try your luck on the classic three-reel Double Wammy emulator fitted with a single payline. 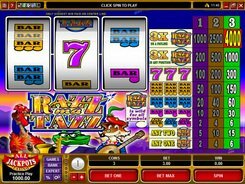 The slot uses conventional fruit-machine symbols, including bars, cherries and sevens. 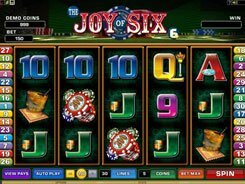 The game’s logo representing a wild is the highest paying symbol in the slot. 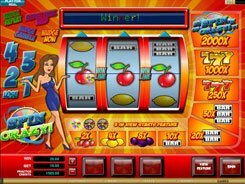 Before spinning the reels, make a bet of $0.2 to $15 per line, per spin, wagering one, two or three coins. 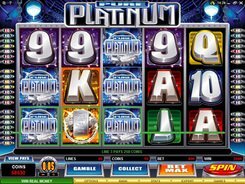 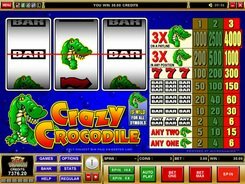 Betting three coins, you stand the chance of taking down a 2500-worth jackpot, provided three game’s logos land on the payline. 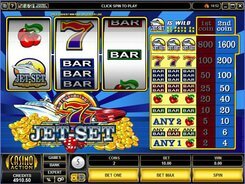 Besides, a wild helps complete combos acting as a substitute for other symbols and paying 2x or x4 a winning combination’s value.